August 13, 2013 ~ Bernie K.
Moreover, any action will almost certainly provoke a “retaliatory response” requiring additional resources to react to it. There is an almost instinctive, virtually automatic, retaliatory reaction to any initial aggressive act — meet aggression with aggression. Frequently it leads to an escalation of the conflict. Robert McNamara was Secretary of Defense during the Vietnam War. His important post-Vietnam advice was — understand your enemy before engaging in hostilities and taking any action. Add to that the likely collateral damage and the potential for unforeseen and unintended consequences and the additional cost of providing compensation and restitution for any damages and injury caused, certainly to one’s own forces, and perhaps to others as well. All those factors contribute to “The Cost of War.” Be mindful of them. Given those costs, it is essential to take into account the alternatives uses of those resources — the other things you could have had if you had decided not to go to war. One thing to consider would be taking reconciliatory action first. How different things would be if we took the time to understand and reconcile differences before engaging in aggressive action. What if we used the same amount of time, energy, resources and funds to try to reconcile whatever differences there are? Look where the failure to attempt to reconcile their differences has left us. Imagine if Trayvon Martin and George Zimmerman had behaved differently. It is independent of who was the aggressor. What if they had used the same amount of time, energy and resources for peaceful purposes in an attempt to understand and reconcile their differences before taking aggressive action. For example, Zimmerman could have contacted the police, followed Martin in the car until they responded and dealt with the situation. Or he could have driven up in front of Martin, said, “Hello”, introduced himself as the neighborhood watch-person and asked Martin where he lived. The outcome would have been drastically different. Instead they lived out “The Cost of War” — of their hostilities.We are all left with the consequences for the rest of our lives. Let’s take it a step further. 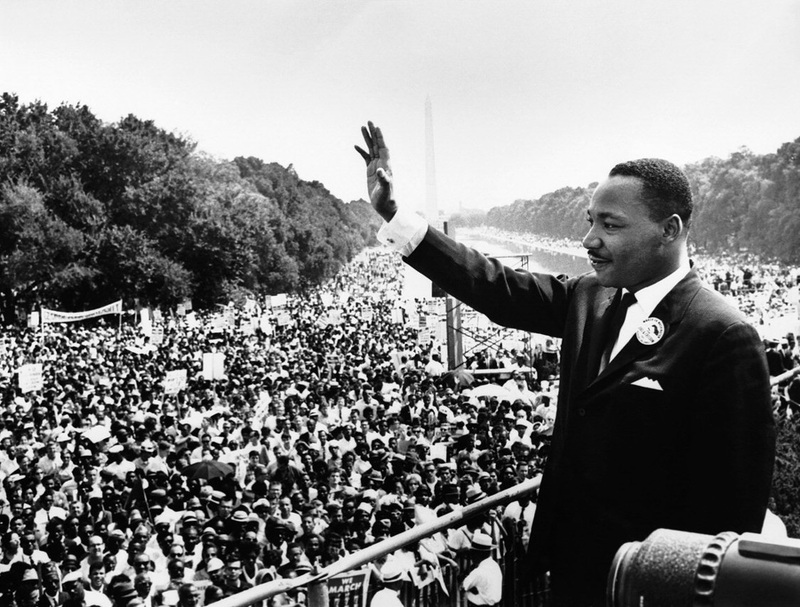 Fewer and fewer of us are still alive who remember that historic day, August 28, 1963, when, at the March on Washington, Dr. Martin Luther King, Jr. gave his “I’ve Got a Dream” speech from the steps of the Lincoln Memorial to a crowd of 250,000. Rep. John Lewis, at 23, was the sixth of ten speakers. He is the only one who is still with us. The theme of the March was Peace, Love ans Non-violence. At the time, he was the newly appointed Chairman of SNCC, the Student Nonviolent Coordinating Committee. Later on March 7, 1965 he was beaten bloody and to near death by the Alabama State Troopers as a leader of the Freedom March from Selma to Montgomery. Almost fifty years later he was recently interviewed by Bill Moyers, one of the 250,000 who heard Lewis’ speech. In the interview Lewis advocated, as he has all his life, non-violence, respecting and treating everyone as one’s brother or sister and reconciliation. Simply following Rogers and Hammerstein’s lyrics and the song from their musical, The King and I, “Getting to know you, Getting to know all about you, Getting to like you, Getting to hope you like me” is a good lesson for us all. Lewis continues to hold that position in spite that he and Dr. King, his mentor and hero, were victims of violence. How different the world would be for Martin, for Zimmerman, for each of us, if we all followed his advice. Whether we are talking about war or personal relationships, think before acting. Accept the other person for who they are and try to understand and reconcile any differences that exist. When you can’t, turn your back and withdraw, especially when the expected return is not worth the cost. That goes for both parties. It will allow those resources to be used for other purposes. Regardless of whether you think about it beforehand, or don’t, you will bear the consequences of the action once you make the move, once you attack. If we are not blind and deaf to reason we also know that the costs of not fighting _sometimes_ are even greater. Not saying all the time, or all wars justified – just that sometimes despite the cost it is worth it. At least a couple immediate examples come to mind – the American Civil War and WWII. One might give some justifications for others, but hopefully even the strongest “peacenik” could see some rational justification in these two examples.